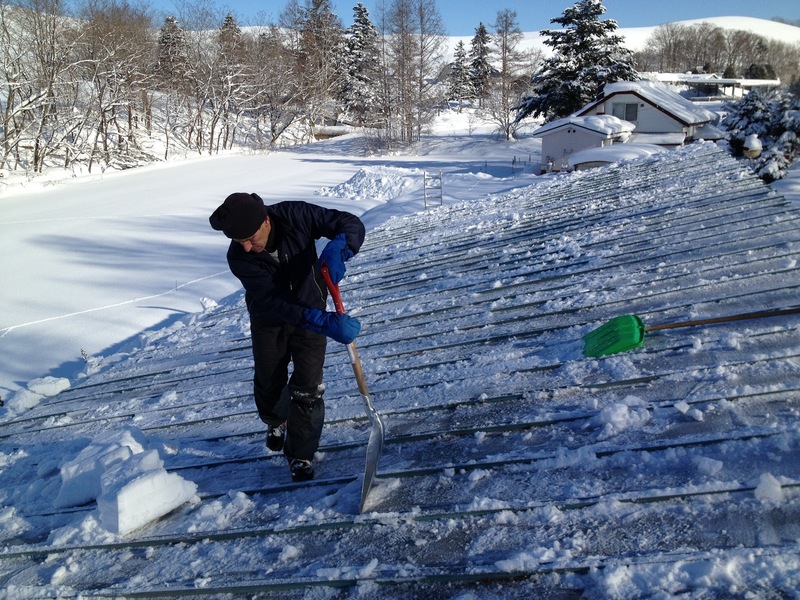 Record snowfall in December made us removing snow from the barn's roof even before New Year. 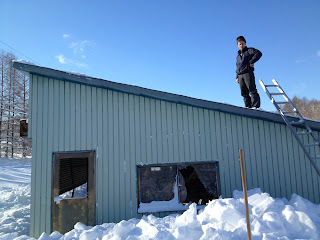 About 1.30 m of Snow on the barn means may be about 100 m3 of snow to be removed. 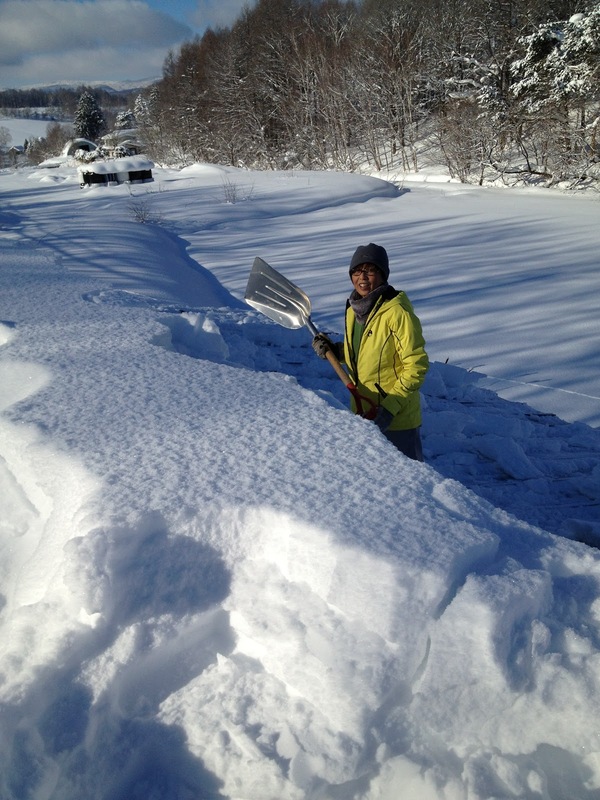 No chance to gain wait over the holidays as usual. I could not do it in one day. The last piece of snow.